Last week, family website MyKidsTime announced that Galway Autism Partnership as the joint winner, with Cork’s Down Syndrome Centre, of its annual Charity of the Year Award. 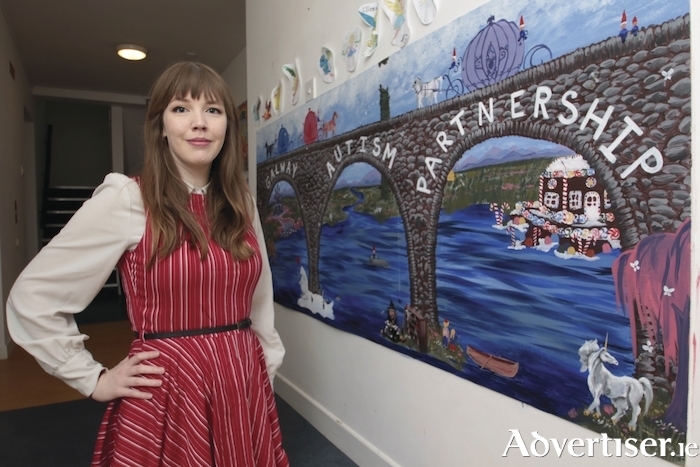 The recognition is a huge morale boost for GAP and provided the perfect backdrop for my interview with it's co-ordinator, Aisling Colreavy. Autism is still not fully understood, but Colreavy gives a summary of current thinking; “I always say the best person to talk to if you want to understand the condition is somebody who is on the autism spectrum. Medically, it is described as a spectrum disorder. Some people dislike that term because they don’t see it as a disorder. A more positive term would be the neuro-diverse population; in other words people with autism have a different way of observing things. Their brain works differently to most people but their perceptions are no less valid or important. Galway Autism Partnership was officially formed in 2011 by a group of parents and adults on the autism spectrum and became a registered charity. “It was set up by people who were frustrated and stressed out by the services, or lack of services, that were available from the HSE,” Colreavy explains. “The gap in services was having a big effect on the health and well-being of families. GAP was initially set up as a parent and family support group for parents to connect and share their experiences. "There is currently no consistent approach to service provision for disability in Ireland so it varies from county to county and the level of communication between the Department of Health, the HSE, and Department of Education is limited as well. In 2014, autism services were eliminated altogether without warning. It used to be run through the child and adolescent mental health services but all of a sudden it was removed from their remit and wasn’t picked up by anyone else. Up to now, GAP has received no state funding for its work and its many vital activities have been kept going by the kindness of the public and businesses. In autumn 2012 a generous donation by Ramona Nicolas in RTE’s The Secret Millionaire, enabled GAP to secure its current home in Tigh Ronain, Laurel Park.